I’ve been talking about high blood sugar,(hyperglycemia). Now I’d like to talk about low blood sugar (hypoglycemia). So hypoglycemia is when your blood sugar is low. (Not a good thing) With hyperglycemia, you have excess sugar in your blood. Having low blood sugar means that you don’t have enough glucose to produce energy. When you eat, glucose gets absorbed into your blood. If your blood glucose starts to decline, your liver releases glucose. Normally, this would raise one’s blood sugar and you’ve got hyperglycemia. If the opposite happens, your sugar levels could become very low and this can be worrisome. 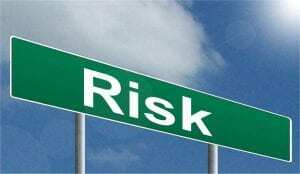 Know that you increase your risk of diabetes if you have pre-diabetes. It is not written in stone that you will develop type 2 diabetes. 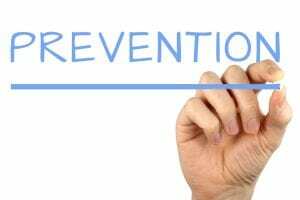 If you’re diligent and change our lifestyle (eating healthy and exercising) you can delay or prevent your pre diabetes from becoming type 2 diabetes and keep your cholesterol numbers in check as well. What foods you eat are important. Apple cider vinegar is a must! Another bad boy is high blood pressure. Make sure you know your numbers! If you’ve gone for a rather long period of not eating, hypoglycemia can possibly occur. So in order for your physician to determine this, you’ll most likely be put on a fasting test for up to as much as 72 hours. What this entails is having your blood taken several times at different intervals for measurement of the blood glucose levels. Now, this happens at your physician’s office and there’s not much of a waiting period (so don’t be stressed) to find out your results (usually 24-48 hours) If your numbers come back somewhere between 50-70 mgs, then it’s a possibility that you are hypoglycemic. But your doctor is the one to determine that because we all have different bodies and your numbers can be compared to your past results. These are symptoms that should not be ignored. My son-in-law just recently experienced some of these symptoms and wound up at the hospital with a blood glucose reading of 49! He’s being tested right now to determine if he has hypoglycemia. It can be scary. He didn’t know what was happening to him. This is something that he and his doctors will discuss and follow the proper procedures with his results and get control of it. 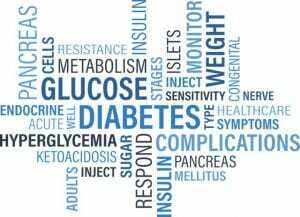 So just what are the complications from hypoglycemia? This is not to scare you (although it would make me sit up and take notice for sure). Hypoglycemia is a serious condition and if it’s not treated immediately, it COULD result in any of the complications above. Just be aware and make sure you are never faced with anything like that. It’s your life. Take care of it! One of the most important things about high or low blood sugar is what you eat. Another extremely important issue is testing your glucose consistently. You’ll want to have an excellent blood sugar testing meter and kit available. You must know what your numbers are at all times. Make sure you monitor your food portions so that you can properly treat and prevent low blood glucose levels. Exercise and vitamin D always help too. I make sure I get enough exercise on my exercise bike. Always have anything with glucose that you need with you. Make sure that you always read labels and know which ones are sugar free. If you are diabetic, wear identification stating so on you at all times. You must know everything about what you’re eating everyday of your life. Keeping a diary each day is a good tip. You learn to read every label on every product and do your homework. The changes you make aren’t that difficult but very necessary. And make sure you get enough sleep. You want to avoid hypoglycemia at all costs. A very important thing is to have a well balanced diet which is high in fiber, protein and complex carbs but also a diet that’s low in sugar. A good example of an excellent complex carbohydrate is sweet potatoes (not a regular potato). Anything that is processed or refined carb should be off limits. Have a meal every couple of hours but make it small. This aids in leveling your blood sugar level. Snacks are your fill in meal. Take them with you. My choices are a small portion of nuts, or some slices of apple. You just want everything to be level. There are supplements that help. 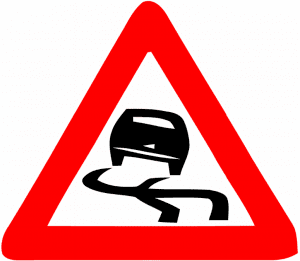 Have you thought about accidents happening elsewhere? Falling down stairs? Hurting your back, etc. ?Are you at home with family? Are you not home with nobody to help you? Ok, these are just scenarios that you have to think about. Nobody wants to be in any of these situations regardless of where you are. Low blood sugar should be taken as VERY serious. Diagnose it, address it, and test your blood glucose levels. These are refined and processed carbs. Get rid of them. Stay away. These are low carb foods that you SHOULD be eating. The “cure” is your diet. Once you train yourself to follow a specific low carb diet, you’ll be on your way to the “cure.” Listen, I’m telling you this because it’s what I’ve learned. It’s not a lecture. It’s cold hard facts. There’s no pill or shot you can take to control hypoglycemia. It’s YOU! You’re the only one who can cure it by keeping it under control. Hyperglycemia is dangerous too and there are natural ways to control it, but I wanted you to know what low glucose is capable of doing. It’s not to scare you, but to make you aware. I hoped you learned something about hyperglycemia vs hypoglycemia. If you feel that you need extra help with controlling your blood sugars, then this is works best! And if you have any questions about hypoglycemia or you care to leave your opinion, please leave a comment below. I’d like to hear what your thoughts are! Well, that certainly was an urgent warning about hypoglycemia! It is well appreciated though, because I’ve had some of the warning symptoms. When I used to lecture and teach intensive classes, I would forget to eat. One time, I nearly fainted waiting for my commuter bus. Luckily, I had bought some food to take home, and they let me eat it on the bus, because they saw how bad a shape I was in! Protein is what works for me the 2 or three times it happened, but I take better care now and don’t allow myself to forget to eat. It was also a very good tip to suggest that people carry healthy snacks, just in case. Very helpful information on this page. I only wish that my problem was forgetting about eating! But high or low blood sugars are not something to ignore. If we all just learn a little bit about something each day we would be better off. But something like hypoglycemia is too important to just brush off. As I always say, read, learn, and take ACTION! Always remind yourself to eat and take those snacks with you! Good luck! Thanks for writing this article. I have friends and family that I feel have been very close to getting diabetes. One of my close friends was over 300lbs. He started having issues with Splenda believe it or not. His body was reacting in a similar what to Splenda that it would to sugar. He was able to change some things and is now getting his diet under control, but this is a very scary thing. I didn’t realize Hypoglycemia could cause seizures, coma, and death. I suppose it makes sense when you think about it, but all in all it’s a scary a thing and important for people to be aware.Thanks again. I have never used sugar substitutes before. I know that you have to be careful with them like anything else. Being over 300 lbs is a lot of weight and a healthy diet with exercise and knowledge would help your friend out for sure. A lot of people start to take care of things after they’re alerted by a condition that affects them. Hypoglycemia as well as hyperglycemia is serious. We should all treat it with respect. Your article about low blood sugar is very thourgh and I am sure that a lot of people will benefit from reading this and knowing what the warning signs are and what to do about it. Diabetes is the enemy and it must be defeated. High or low blood sugar isn’t acceptable. 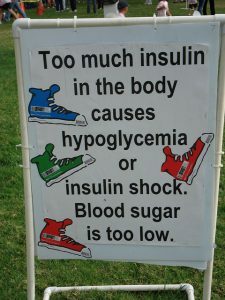 I hope to help others control theirs too and make sure they have knowledge about hypoglycemia. 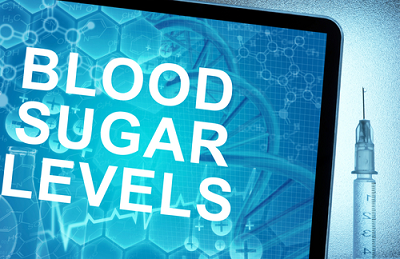 Keeping blood sugar levels under control is the goal for diabetics. It just becomes a new way of life. Medications must be taken, but eventually following the natural ways to lower blood sugar can be the best way to go. Another great post Rob! I have always thought I had a mild case of hypoglycemia because I feel quite drained if I haven’t eaten for a while but I know it was because I was in need of some glucose. I enjoyed reading your post and very grateful for the information. Keep up the great work Rob! I’m glad that I could help you Joanne. My son-in-law might have hypoglycemia and it’s crucial to address this. If we don’t look after our health, then who will? I hope everything works out for you! First of all congratulations on battling your own diabetes with methods other than those provided from he professional medical field, e.g. pills and / or insulin. I have read your webpage with great interest and have to say that it gives a very thorough overview of your personal story and the advice you draw from it for other people with the same disease. As a doctor I have to say however that people who have been diagnosed with Diabetes should not only follow your advice in the hopes that this will solve their problems; it is always necessary to get the guidance from a medical professional and re-evaluate your diesease as you go along on regular basis. I would also like to point out that taking a few pills a day or ending up insuline dependant is not the end of the world, quite the contrary – those can be life savers. I am glad that in your early stages of Diabetes your way works out for you and wish you good luck in life! Hey Deb, Thank you so much for your comments. I agree that medication isn’t the end of the world either. I just prefer the natural methods and I always advise to consult with your physician first, because I am not a doctor. I always run things by my doctor first. As you know diabetes must be watched and anything I can do to help others, is a plus for me. Thank you for a great post to help people understand about hypoglycemia. I think I sometimes suffer from this when I go too long without eating. It is good that you gave people the symptoms, so they can recognize when they may be suffering from this condition. I don’t have diabetes; but I’m higher than I would like and I’m pretty close to pre-diabetic. I have been trying to get mine down with diet and exercise. I do pretty good for a while and then I get busy and end up eating whatever and getting less exercise. I need to be more consistent. I have heard recently that white potatoes aren’t as bad as they originally thought for diabetes. Have you heard that? I love potatoes; but I try to limit them. Sorry; but sweet potatoes just don’t have the same flavor. I have a question. You have cereal down as a don’t eat. What about a cereal like cheerios? We know oatmeal is good. But not cheerios? Hi Jeannie, I agree with you. I like regular potatoes over sweet potatoes, but since sweet potatoes are much better for you, I eat them instead. Sweet potatoes are great for diabetes. 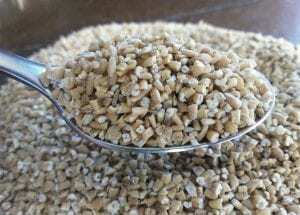 I would be careful about going without going without eating because my son-in-law was doing that recently and his blood sugar was 49 and you do not want hypoglycemia as I explained in the article.As far as cereal goes, I eat Cheerios and that’s fine because it doesn’t have much sugar, but I would keep an eye on the carbs. Good luck!